Enter to Win 4 Boxes of Nantucket Blend K-Cups! 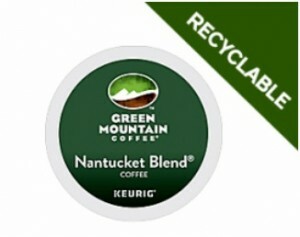 Take a minute to enter to win FOUR boxes of Green Mountain Nantucket Blend Recyclable Keurig K-Cups from Cross Country Cafe! This giveaway runs through 7/31/16. The random winner will be notified via email within 48 hours of the giveaway end date. Previous Post: « Office Depot Penny Deals are Back!